Created with style in mind, Tamashii Buddies maintains the essence of a character at a compact, collectible size. Tamashii Buddies has come out with a series of popular anime characters, so it's only natural the next series to take the stage is the ever popular Naruto Shippuden! 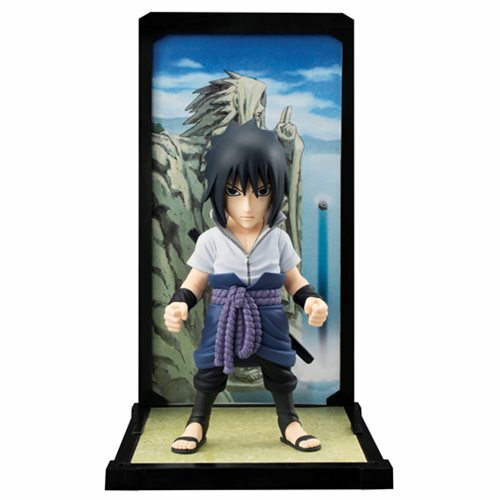 Uchiha Sasuke is looking ready to battle and cool in front of the unique interchangeable background card. Set includes background and background frame parts for stacking. Measures approximately 3 1/2-inches tall. Ages 15 and up.